Horse Tack Now is an online horse tack store specializing in top quality horse correction bits. We provide top quality products for all equestrian riders. 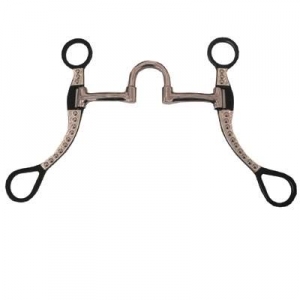 This beautiful correction bit comes with antique shanks & a silver Overlay. This is a horse correction bit and comes with antique shanks and a silver overlay. This item comes with 7'' shanks. The silver in the overlay is solid high grade silver that are very durable. View the exceptional quality of this bit in the image above.